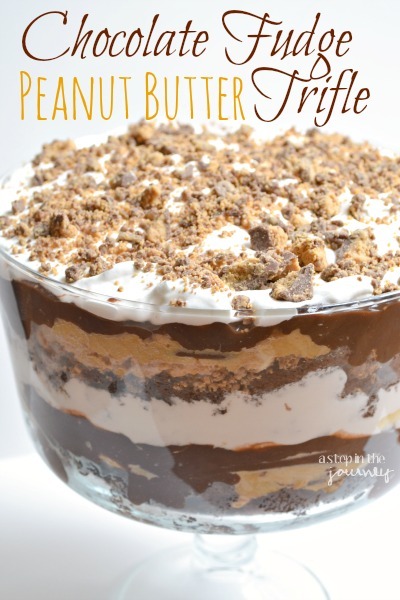 Chocolate Peanut Butter Trifle….to DIE for! We traveled a lot for the Christmas holidays. 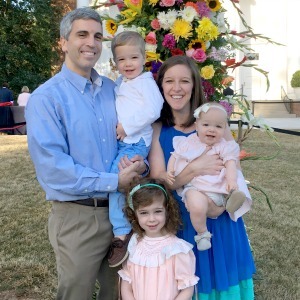 Down to L.A. (lower Alabama) to spend time with III’s family, then up to north Alabama to spend time with mine, next we headed home to Atlanta for 24 hours before traveling north to Lake Lanier for a few more Christmas festivities. We arrived back home on New Year’s Eve with plans to get together with friends for a baby friendly new year, and I had signed up to bring dessert. I needed something simple, quick, and delicious (always my criteria when it the kitchen!). And that is when the trifle stepped in. Many layers of sweet goodness can never go wrong! Once the cream cheese is a room temperature use a hand mixer to whip. Then fold in 1 cup of peanut butter. Once well combined add 1 cup of powdered sugar and 2 tbsp of milk. Continue to whip until "fluffy"
Now it's time to LAYER! You can go in any order you would like, my suggestion: broken up brownies, peanut butter fluff, chocolate pudding, cool whip, chopped Reese's...then REPEAT. If not serving immediately, leave in the refrigerator to chill. 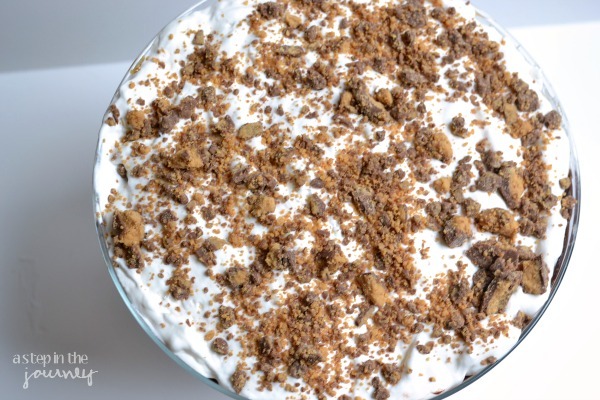 I am happy to say this Chocolate peanut Butter Trifle was a hit! And lucky us, there was just enough left over for us to have dessert the past two nights :o) III is already asking that I make more! Good thing it’s 1000 calories, as it’s looking like this year we might need to survive on trifle! I just made this for a dinner party tonight. I’m actually anticipating a stomach ache from all the delicious sweetness. I’ll have to be careful not to over indulge. It’ll be hard because pb&c are my everything. I am sure everyone, including you!, will love it as much as we do around here! Can you make it a day ahead? Definitely! 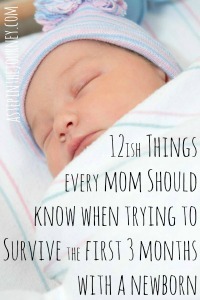 I actually think it is better the next day when everything soaks in together! This was a hit for dessert last night! Perfect combination of peanut butter & chocolate. You can’t go wrong with this one! I just made this and it was wonderful! Great receipe! You could make your own by making whipping heavy cream! Oh my goodness, this trifle is serious amazing & dangerous! I try to only make it when we are having guests over or going somewhere because otherwise my husband and I will eat the entire thing! Made this and it’s amazing!!!! I’m soooo glad you enjoyed it! It is on of my favorites, for sure! What size (oz.) bag of Reese’s? and what size Reese’s (regular, mini)? I was just going to ask the exact same thing!…What size and what size? Did you make it? What sizes did you go with? This looks amazeballs, too… The boys love pb and chocolate! Gwen recently posted…Peppermint Oranges: A Yummy, Nummy Winter Treat! Oh it’s definitely amazeballs! You really can’t go wrong with the pb & chocolate combination if you ask me! Oh yum, I love trifle! Pinning this one!